This is by no means an expert’s guide, more an amateurs insights. As I have just updated the site pages I moved this to a post in its own right. Housing and setting up can be as complex or simple as you make it. It also doesn’t have to be expensive. For our suburban girls we bought and converted a second hand dog kennel from a local auction. 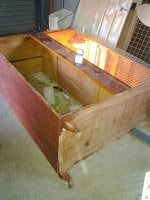 Adding a nesting box and step for it and fixed 2 pieces of 2x1 inside for them to perch on. 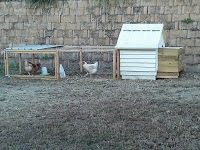 Using longer pieces of 2x1 and chicken wire we constructed a run. The birds remained in the house/run during the day (secure from the dogs) and then free ranged around our garden when we were home. ﻿﻿﻿﻿﻿﻿ This set up also allowed us to regularly move the hutch and run, meaning the grass/lawn condition wasn’t too badly affected. So we didn’t need to dedicate a permanent area to the birds. I have seen a number of these ‘tractor’ arrangements on various scales. But if you’re not too handy you can also purchase them as a kit from many DIY stores and online. ﻿﻿Now we have finally phased out the smaller hutches and migrated our laying flock to a poultry shed, using another small housing and runs for younger birds. ﻿﻿﻿﻿﻿﻿Ducks and geese do not really need a nesting box or perch, but a secure area for shelter- a dog house would be ideal and all (including turkeys) nest where ever they feel safe (not always where you would prefer). We kept a small cover that I can move over any nests that do not have any shelter. 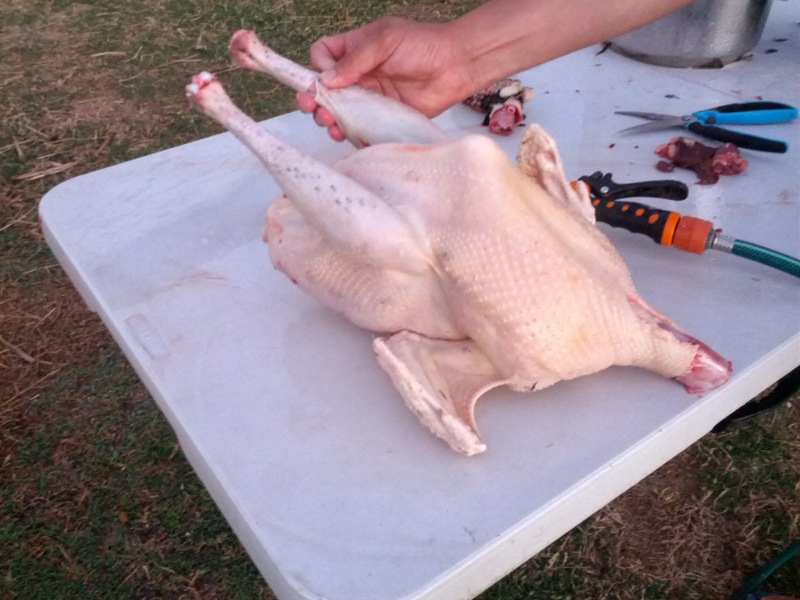 Turkeys may nest in a box (if they feel safe), and require an open shelter and perches. They are more likely to roost wherever is highest (trees, the neighbours shed or vehicles- we had issues with this), ours always preferred the roof of the chicken shed or the eight foot fence posts. As for feed, we found a local produce store and they advised we feed them pullet grower initially until they started laying (usually about 18-20 weeks) and then layers mash or pellets. Most other poultry would be better on a higher protein poultry feed/crumble. We use this to supplement our birds feed. As they free range and are happy to scratch and feed. We also keep food scraps from our kitchen and garden clippings... they key is variety. So grains, rice, pasta, veg scraps (although onions and green potato peels are not advised) and avocado peels are toxic to all animals. Many people also do not realise you can feed chickens meat. As they naturally forage and eat bugs, protein is an essential part of their diet and makes a great ‘treat’, scrambling eggs is also acceptable. They also need grit in their diet, which you can buy supplement, however egg shells are one of the best sources. Just grind it up, so they do not associate their own eggs as food. Feeders and waterers come in various shapes and sizes. Initially we cut the side out of old (washed) 2l milk cartons and tied then to the chicken wire (to avoid spillages), nothing like a good bit of recycling! And for ducks and geese a child’s paddling/wading pool is ideal, but change the water regularly. 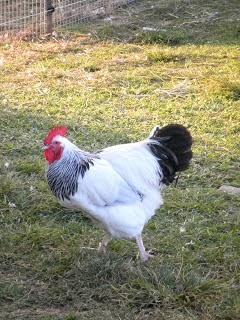 Breeding became a natural progression once we had a rooster and a drake. So we purchased an incubator. Our incubatorwas yet an EBay purchase for about $60. No it’s not big or fancy and yes we turn the eggs ourselves. 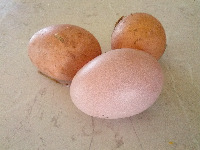 But it holds up to 60 chicken eggs; so is more than sufficient for our needs (as we only collect eggs for up to a week). 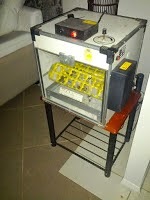 We were also put onto a product called“Breathe-ezi” we use this for sterilizing our incubator. This is actually a commercial grade disinfectant designed for large scale poultry sheds, but it is also water soluble which is great given we have a sensitive bio waste system. We have also tried a friend’s 42 egg, self turning (rather pricey) incubator running in addition to ours. Contained some chicken eggs for him and some later duck eggs collected from an abandoned nest. I reviewed these separately in a post. I personally found this system both nosey and too complicated, but I guess it is automatic. We also met a serious show breeder with a commercial scale system worth thousands…so again it is one of those things, you need to look at your intentions and it can be as expensive as you make it. 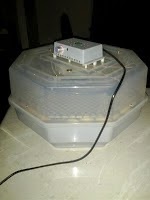 Once the eggs have hatched you will need a brooder box. Again this can be as complex, or expensive as you like. For our first hatchlings we had set up a cardboard box, lined with newspaper and shavings with Tupperware boxes for food and water. They also need to be kept warm, so we bought a cheap light (on sale at Bunnings) and then they need food and water. However having them live in the house on the kitchen bench is not entirely practical! 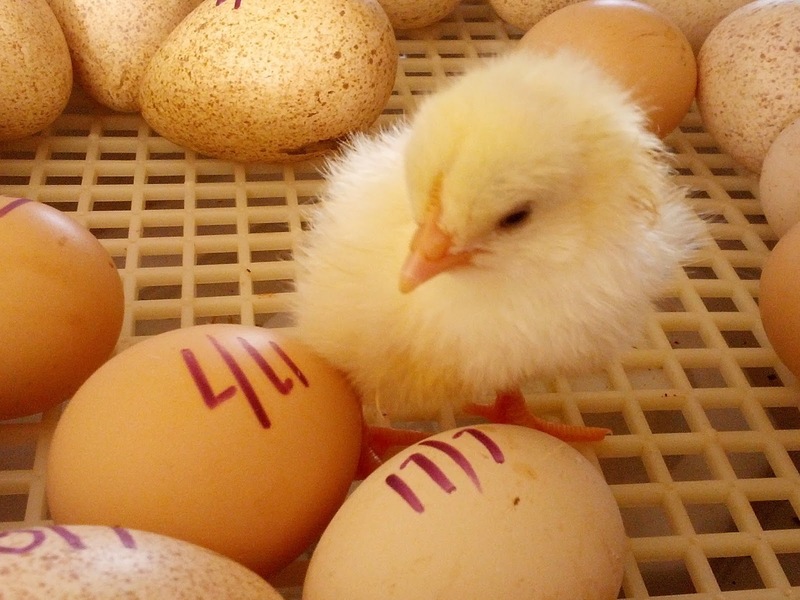 Chicks stay in their incubator for the first 24 hours. 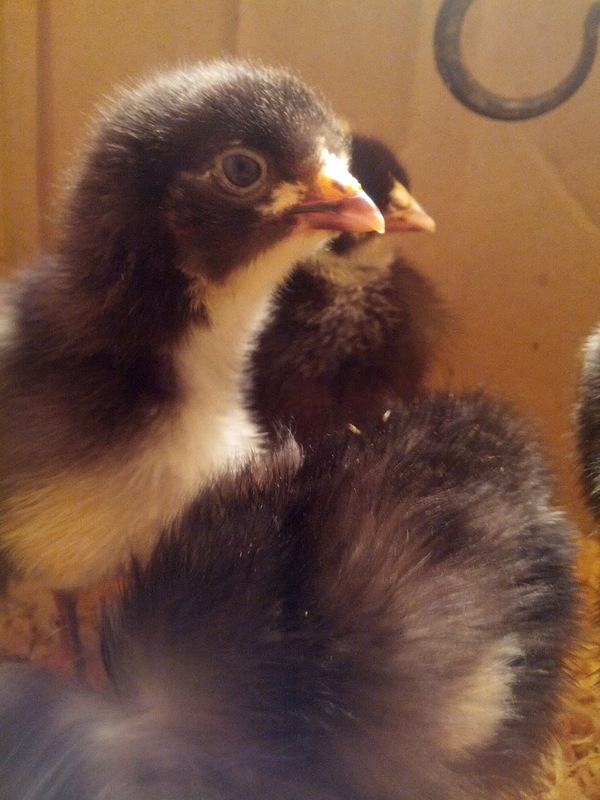 Once you take them out and place them in their brooder box, it is important you dip their beaks in the water. From then on it is amazing how their instincts kick in. Also if their cold they will huddle together, if their too warm they will be at the opposite end of the box to the light. So allow for adjusting how high or low you place your light. Work lights are great for this, as they usually have a clip on the back and/ or a hook, so you can adapt to the space. One piece of equipment I would suggest purchasing is a digital thermometer, this way you can keep an eye on the temperature of the box (or the incubator for that matter if like ours it is not that fancy) and make appropriate adjustments. Now our brooder box set up in the shed. Constructed from an old wardrobe that we picked up free; removed the doors, replacing them with mess panels and lined with shaving and/or newspaper. The advantage of the wardrobe is that each side can be divided into smaller compartments, for when birds are smaller and can expand as they grow. However this way each section requires its own light for heating and then food and water. 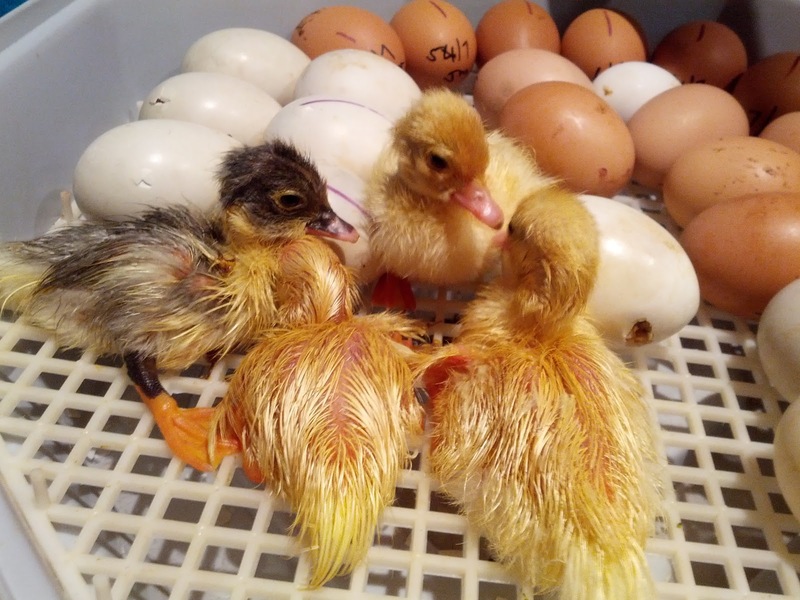 It also means if we have staggered hatching we can separate them- as *an important note* birds can be cruel… It’s not called a pecking order for nothing! As for keeping healthy birds we have picked up a few tips. All birds need space, shelter and constant access to water- this is probably more important than food. There are a few health issues or advice we have been given- as I am not a vet I will probably comment on them through posts, but not here. 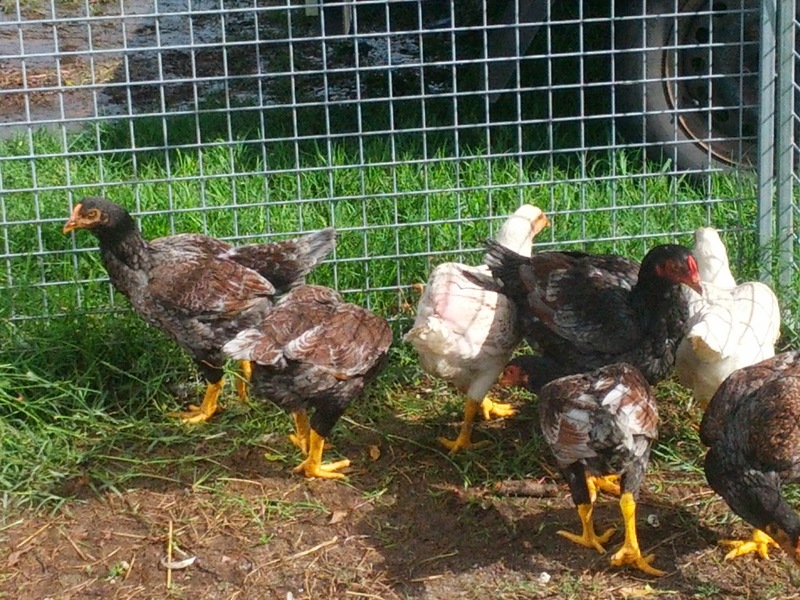 We have two chicken flocks, our laying stock predominantly Light Sussex and Silver Sussex. Although we have had a variety of laying breeds, and the odd few are happily living out their days here (particularly our original girls). 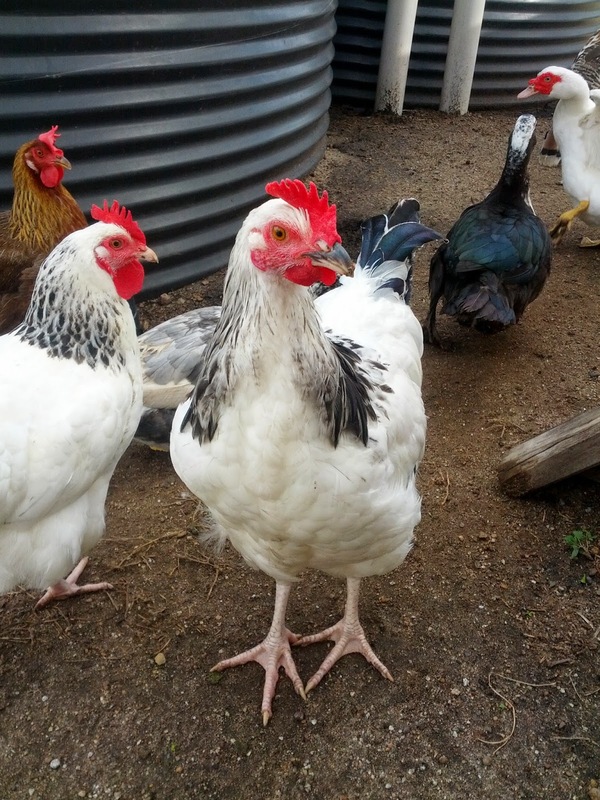 These breeds lay well (average 300 eggs per year) and for that reason are desirable. Also the males provide decent sized birds for the table, after all breeding means we end up with a lot of excess roosters. 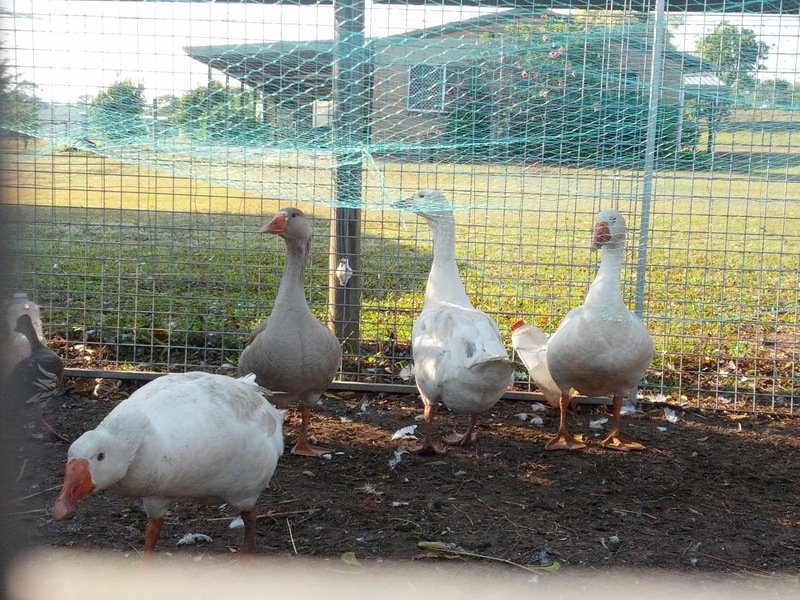 We also breed and keep Indian Game (known as in Australia)/ Cornish (known a sin the UK). These provide a very meaty, almost double breasted table bird. Considered to be a potential base breed for the now commercial broilers. Though they can be difficult to breed and lay almost seasonally. So we keep these more for the love of them than for their output, though they do better when free ranged and graze well and cost little to feed. We had originally planned to cross the two, in aim of the ultimate dual purpose bird… it may still happen. 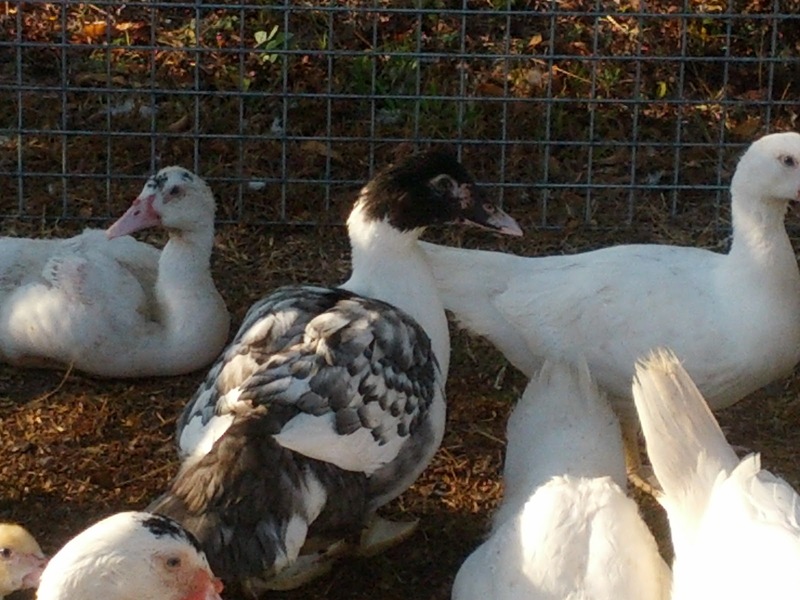 We have also had success with Muscovy ducks and turkeys. But have decided for the mean time not to keep a permanent stock of either, preferring to purchase an occasional few to grow out for specific occasions. And then there are our resident snack deterrents. 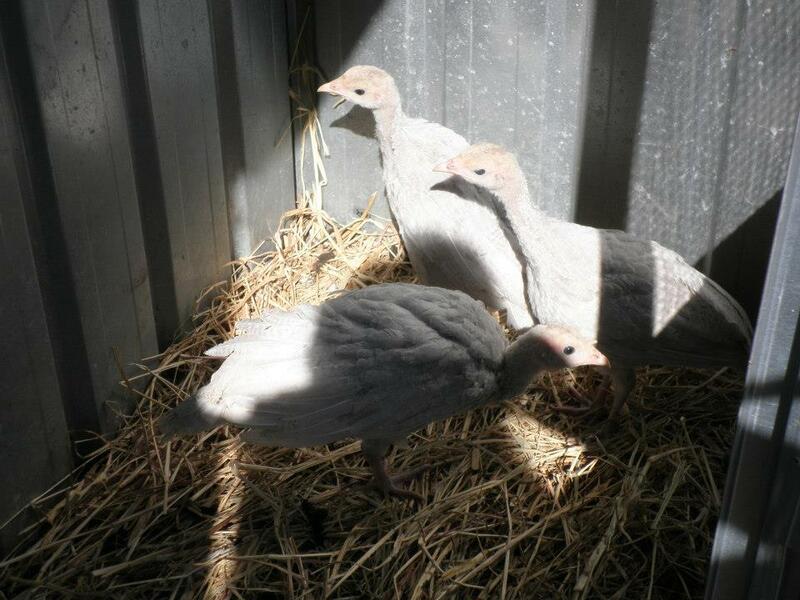 Many local people use guineafowl for this purpose, as neither of us are fans we have geese. These lay seasonally and we had limited success with their first season; resulting in a single surviving off-spring ‘Ar-goose’. Geese are known to be noisy and aggressive; however ours appear to be more apprehensive toward people and only really make noise when someone arrives.. so they make great guard dogs! They require very little food, as they graze well and keep the grass down. Although do not keep them on patchy grass, as they pluck it rather than snap it off. But do need a supply of water to play in, which will need changing regularly.